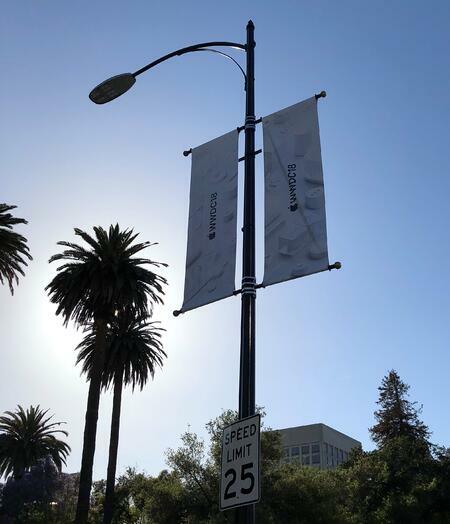 In June 2018, I attended Apple’s yearly Worldwide Developers Conference as a software developer representing his company, EASI. Two months after the utmost experience of my life, I'm sharing the whole story with you. In order to participate at the Apple’s WWDC, I had to register as an attendee on their website. There is a very tiny chance to become a real attendee. 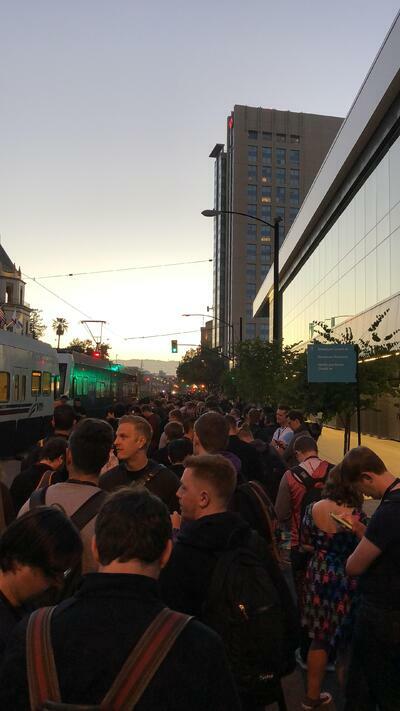 Only 6000 happy people, every year, have the opportunity to get their costly WWDC ticket. I remember very well the feeling when I received an email from Apple which told me that I had been randomly drawn. I was skiing with some colleagues which did not really understand why I was so excited. I did not know it at the time but I was about to live an unforgettable adventure filled with many emotional moments. This travel would not have been possible without EASI, my colleagues and particularly Thomas. They took the time to help me in the organization of my trip. On 3 June 2018 and for the first time of my life, I was standing on the tarmac of San Jose (California). I was literally burning under the Californian sun and extremely tired but the American way of life, the people and the landscapes woke me up in a minute. I barely had the time to catch my breath. I went to get my ticket to the McEnergy Convention Center of San Jose. 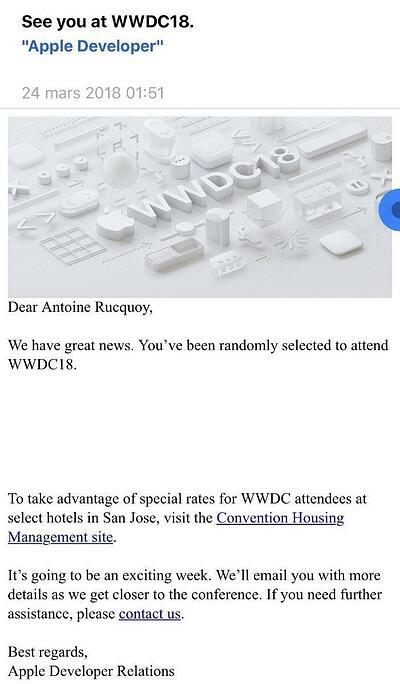 Some People from Apple gave me the impression that they were waiting for me as they celebrated my entry. After a very short night, I woke up early to take part in the eagerly awaited conference of the week. You have to know that being a WWDC attendee doesn't automatically means you'll have a seat for the live Keynote. There aren't enough available seats for everybody. The speech was at 10 a.m. I was already waiting in the queue at 4.30 a.m. I was not the only one to be there, on the contrary! A bunch of Apple Addicts were already lining up. Around 8.00 a.m. the line began to move. All together and step by step, we entered the Convention Center. Some people cried, some other had tears in their eyes and, strangely enough, one guy had no visible emotions. I thought:“Maybe he is a regular guest?”; I decided to ask him. He answered without a smile:“I have come here several times and I do not want to cry anymore. 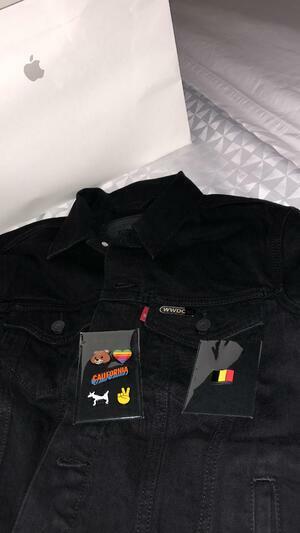 I will no longer have my voice when Tim and Craig will be on stage…” and he was right! So, at 10 AM, we were able to see Tim Cook, Craig Federeghi and many others. 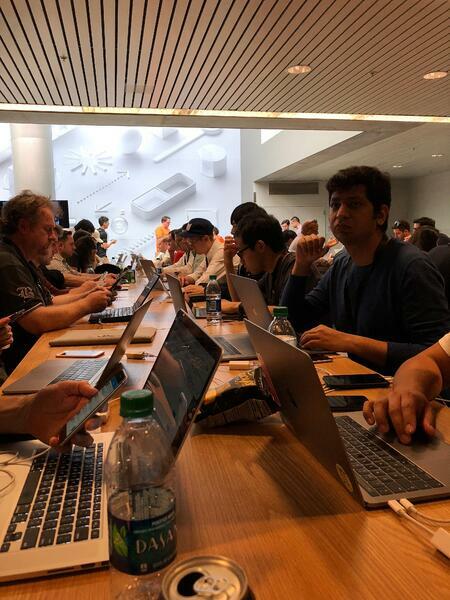 They introduced all the new technologies, iOS 12 secrets and some other features that we had the chance to experience all week long through sessions and labs. Apple organized tons of quality sessions. 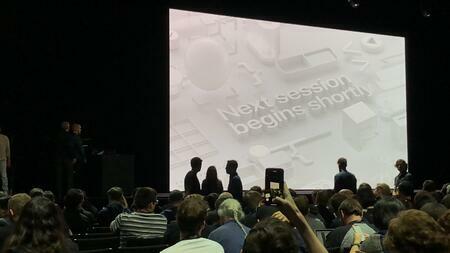 They were speeches given by Apple engineers from all over the world about new technologies discussed during the Keynote. There were also a lot of great labs where I was able to meet some engineers in order to figure out some issues that I could not fix by myself in my own code. This experience brought me considerable time saving compared to the other Stack Overflow posts. I also discussed with some developers worldwide about work, business and our differences, our culture and way of life. In addition to the business added value, this trip also allowed us to understand what our job can bring to the world and to each other. I will never forget what a lucky man I was to be there. 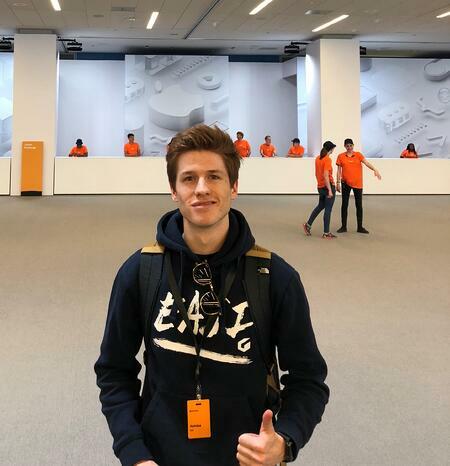 What a great opportunity it was to meet awesome people and to see how many Apple enthusiasts we are. That is why I am very proud of being there and if I could, I would immediately go back. I am so grateful to my company and colleagues. Thank you for making this huge dream a reality.